I’d like for you to imagine a man. He’s in his 20s, 30s, maybe even 40s. He’s played Eve for several years. He has a job in IT straight out of college or perhaps some military service. He loves his wife very much despite the agro she gives him in the middle of a fleet. They just had their 1st or 2nd child. He’s been into Sci-Fi for most of his life: Star Wars, Star Trek, Serenity, Blade Runner, and now maybe the Expanse. After all these years he still logs into Eve Online because it gives him something nothing else can. An enduring universe where he can be like that sci-fi character that first hooked him into the genre. Sure maybe the game is getting a little old, but so is he, and his friends are there along for the ride with him. Maybe he’s not the most important person in his corporation, alliance, or coalition, but he’s a reliable guy. He trustfully mines and builds things for his corp. Or maybe he’s got a fleet of Jump Freighters he uses to provide logistics for his alliance. No, he may not be the most impressive PvPer but he regularly joins the coalition fleets. He’s been there at Asakai, B-R, M-O. Although he was only one small part of the contribution, “he was there” and those moments will always be with him. Whether his side wins or loses he did it together with his friends and that’s just fine for him. This is your average nullsec member. He exists in Darkness, Northern Coalition, Goonswarm, Initiative etc. He’s not necessarily good, or bad, he just is. And he has a particular pattern and set of assumptions when he logs into Eve. He has a self-conceptualization of himself forged through his experience in the game. Simple, reliable and if you know what to look for, predictable. The way you destroy such a target is not by the amount of spaceship pixel money you can knock out. In truth the damage you can do to your enemy will likely be spread out among the alliance members. What you have to go for is much more meaningful. You have to go after the set of assumptions by disrupting the patterns such a player expects. You have to jar his image of himself so shaped by his experiences and sci-fi interest as one of those characters. Through him and his friends, you must create a sense of uncertainty. The key point is to discern between “expected losses” and “unexpected losses.” When he jumps into a fleet, listens to the FC and ships out, in the back of his mind he has an expectation that it’s completely possible to lose his ship. Psychologically his mind prepares him for this and he has a set of “didn’t want X anyway” preloaded in his mind regardless of what happens. Sure he may lose his 300 mil HAC, but his side won the battle. Or maybe if they didn’t it was still just “gudfites” and who cares anyway? He’s mined it all back before the battle anyway. What’s most important to him is he was part of a narrative, an event, a story, and all those aforementioned factors create an immersion bubble. Unexpected losses occur quite simply in scenarios where the player does not expect to lose his ship. He could be traveling, ratting, or mining. The point is his mind has not gone through the psychological process of preparing himself for the loss. There’s no “fair fight” or some kind of narrative that the person can wrap themselves in. They are simply ambushed, destroyed, and forgotten. Nobody rages and flips their lid because they got blown up in a fleet PvP fight. Snag someone ratting or mining or just trying to move from point A to point B, and you’ll witness humorously vile obscenities. A 150 million ISK krabbing loss will hurt much more than a 300 million ISK loss in the typical F1 fleet your target will be in. I’m sure some of you have figured this out already. ISK loss is only the proxy by which you vanquish an enemy. Pixels only matter as much as you can use such circumstances to afflict your opponent’s mentality. One of the best examples of this was Psychotic Tendencies Black Ops Campaign against SpaceMonkey’s Alliance during World War Bee. At the time SMA was the 2nd largest alliance in arguably the most powerful coalition in the game. TISHU’s earned the credit for doing much of the heavy lifting against SMA not by killing trillions of ISK in SMA assets, but by creating a sense of uncertainty among SMA members. The monetary impact was minor, a mere fraction of SMA’s assets. The mental impact sent SMA toppling and created a vacuum in the heart of the Imperium’s space which was later exploited by the attacking Money Badger Coalition. Be that as it may this is not a guide replacing that particular campaign, merely using one historical instance as an example. We’ve dispensed with the esoteric psychological aspect of the guide and now we need some very clear and practical methods. Your Base: Assuming you have a group of 5 or so pvp oriented friends you can regularly log on with the first step is finding a wormhole. The essential aspect is that it needs to be a nullsec static. Anchor an Astra and each pilot should only bring a couple of subcaps and battleships to roll holes. A Fortizar should also be established if funds are present. You’ll also require infrastructures to build capitals for obvious and not so obvious reasons. Your Weapons: The ships should place emphasis on speed and damage rather than tank. Defenses are secondary and in most of your engagements EWAR will go further than anything brick tanked. The Gila should be a staple ship having both mobility and heavy DPS while actually still carrying a good tank due to its resists. The Orthrus makes a good partner both in terms of damage projection and shedding enemy tackle. Shield Kikimoras although fragile are also effective in such a role and can increase its DPS to almost battleship levels the longer it stays on target. A mix of these three ship types along with interceptor light tackle/shield AF hard tackle is what your gang should usually consist of. Adding EWAR is also recommended especially Damp Keres. Although risky, depending on the distance from your exit, employing Bhaalgorns, Rattlesnakes and Nightmares can also come in handy for capital ships caught. 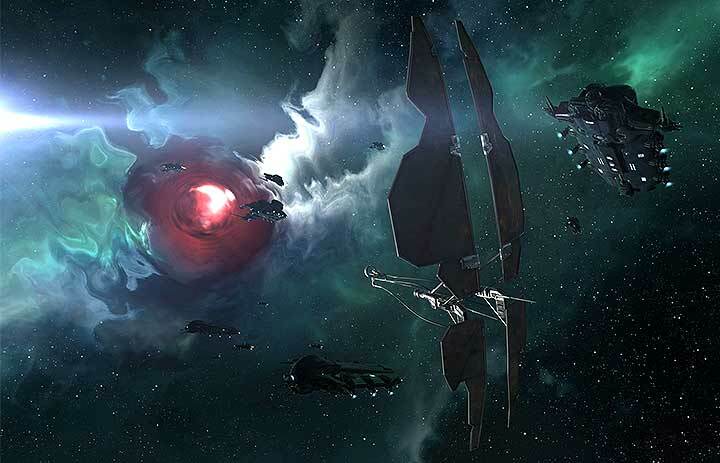 CCP actually did an amazing job with Triglavian ships which are versatile and do great for a small gang punching up. Your Method: Scan your exit and send out a few interceptors first. Shotgun sites and try to cover as much ground as possible. Likely you’ll catch a few VNIs, Isthars, Rattlesnakes etc. Always keep in mind how far you are from your exit and being potentially cut off from your way home. You’ll have to gauge how likely it is that the enemy has figured out what system you dropped out of. Always prioritize minimizing losses over getting kills. When you kill an enemy only that one person failed. When you survive, the entire enemy failed to catch you. It’s not about ISK but perceptions and psychology. You want to be seen as that untouchable danger. Even if you get a few less kills erring on the side of caution, your presence is still felt you are still altering the target’s perception of themselves and their surroundings. The wolf does not have to kill a sheep every night, but it is enough just to be heard. Know when to call it a night and withdraw. You will always have more opportunities. From the moment you are first noticed you are playing against the clock as your targets exchange intel, form a reaction fleet much larger than your own, and try to come kill you. They’re not here for any fair fights and neither are you. After you’ve ambushed some ratters/miners and picked off a few of those too eager to fight you, extract. They stopped doing what they were doing to come chase you after you’ve already killed a number of their friends. And once they have enough numbers to feel safe in doing so, you just vanish leaving them with nothing but a sense of helplessness and discontent. That should be the emotion you leave your opponent with each time. The question will likely arise what to do about capitals/super capitals. With the new balance changes coming up things should be somewhat less lopsided. However they still have the advantage of quickly putting Sirens on you and finishing you off. Unless you have a dread cache nearby with some friends to drop in, or numbers of any kind to kill it, simply avoid them. You can even push them to drop you multiple times and if you get away safe you decrease the likelihood they will bother with it next time. Once again your survival is priority. The same way your enemies have multiple Supercap and Rorqual alts, you should have multiple spy alts. Make an alpha, get a cheap mining ship and AFK on a belt while having access to voice comms. What if you are so effective one of these nullbloc entities is upset enough to actually try and evict you? It’s highly unlikely since your group does not need to number more than 5-10 actual people. The simple fact that a massive nullbloc would stop what they were doing and actually put the resources in shooting your low class null static wormhole Fortizar is a win in and by itself. This is hilarious; you should laugh at them and feel really good about yourself. But wait! How can you laugh at them and feel good? You’re about to lose everything! They’re going to blow up all of your elite faction fit wormholer btw ships! Except they’re not. You’re going to have capitals in your Fort and all your ships inside the capitals. Those capitals will then warp away and cloak up. A cheap but decently fit Fort will be 10 billion. Naturally this will require you to limit your subcapitals based on how many caps you have to hide your ships in. Remember you’re not here to play fair and neither are your enemies. Once they have taken all that time to remove your Fort you can simply set everything back up with relatively minimal losses. Samsara is Sanskrit for “wandering” and refers to cyclical death and rebirth. Fitting for the capsuleer. The purpose of the channel is to encourage community building around these small null static wormhole groups. Come hang out, share stories, experiences and tips. Part of the reason I’ve written this article is due to the cultural shift that seems to have taken over Eve prioritizing what I would call “the krabification” of the game. The trend to favor Farmville style gameplay such as Rorqual safety leading to mass capital proliferation, citadel spam and player built gates which ensure 0.0 is safer than ever has become suffocating. Success in nullsec has become defined by slavish docility. While CCP figures out the balances it needs to correct this, people who would otherwise quit the game need an alternative to continue playing. Null static wormholes provide that launching point for warfare against the power blocs allowing a small tight knit underdog group to punch up. It s exactly that wornmholer are doing with a NS static for years. Right I’m not trying to reinvent the wheel here. I’m sure a lot of groups have been doing much of this for a long time as you said. I’m simply hoping to put it in a guide format and provide some perspective on it. Living out of a wormhole? Yeah that’s true. But honestly there’s not really that much to it. Other people can do it as well. Part of why I’m writing this is to encourage people who would otherwise quit the game because of the slant toward farmsville gameplay, would instead try this out and love it as much as I do. I have read so many articles concerning the blogger lovers but this piece of writing is in fact a fastidious article, keep it up. Don’t forget, the Combat Recons don’t show up on Dscan. Lachesis is a useful tool, all the others are handy too. Some of your finer work. Keep it up! To install trend micro without disk just reach this page and get live links to fill your request to install your trend micro without any disk. it will be an online install. I simply want to say I am just beginner to blogging and seriously savored this web site. Most likely I’m likely to bookmark your blog post . You absolutely come with very good article content. Thank you for revealing your website page. I’m looking for some actually excellent company blog sites to add to my google viewers that are worthwhile complying with on an ongoing basis. Can you make and also referrals? I have Seth Godin’s currently. Many thanks!. It would certainly also be handy if you told me why you suched as these blog sites.